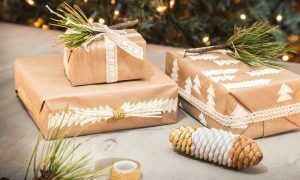 Invite nature to your table for the holidays! 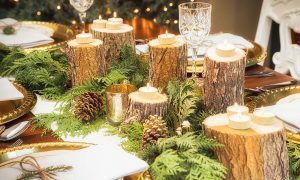 Gather some logs and a few candles to create this unique and chic centrepiece with a rustic touch. 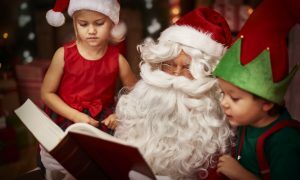 Get in the Holiday spirit and spend quality time as a family with these fun activities sure to please the young …. and the young at heart! 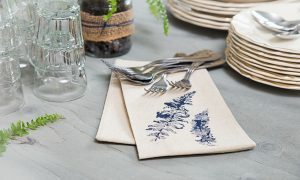 Invite nature to the table with these pretty napkins and their foliage design. 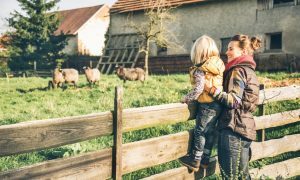 Kids will just love this technique — fun and simple! — that lets them personalize a tablecloth, table runner or handy household textile. 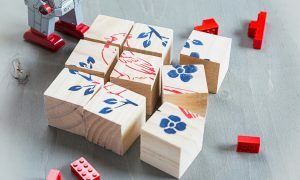 Super easy to make, this DIY wooden puzzle will entertain kids…and grown-ups! You can tailor it to the age of your child and have him choose the image he or she desire. We can predict they will have a lot of fun assembling their puzzle! 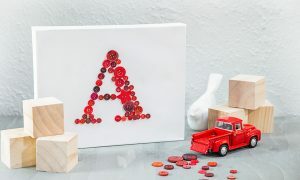 As a DIY shower gift for proud new parents or to hang in your own little angel’s room, this coloured, textured artwork will customize any decor instantly! 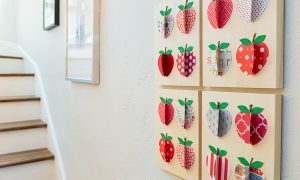 These paper apples, with their 3D shapes and eye-catching patterns, will add a rustic touch and loads of charm to any room in the house. 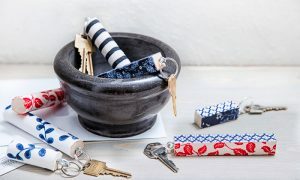 These patterned wooden key holders ,are a great DIY project to make with family. It is ideal for those who always loses their keys. 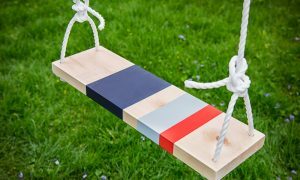 This summer, why not build your own wooden swing and enjoy this exhilarating family activity!